Increasing complexity of space-based applications for civil and defense purposes will also in future require large structures, while at the same time the demand for lower costs of transportation inevitably leads to smaller units also. Large deployable structures will become for some applications the strategic key to space-technology to solve this dilemma. On the level of subsystems in Europe, HPS has very early raised the claim for leadership in this field; with focus on scalability, modularity, storage space, mass and – last, not least – price. 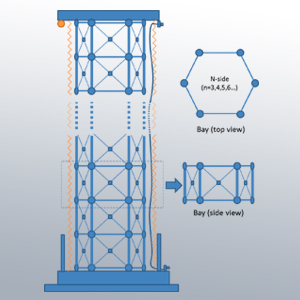 HPS Germany has concentrated on antennas, arms, metallic mesh and drag-sails, HPS Portugal on deployable masts. The HPS-offer covers each and every application in the field of antennas (earth observation, telecommunications, science and military) as well as for deployable sails (from de-orbiting of smaller and medium sized satellites up to "solar sailing" to far planets). Yet another basis for its solid leadership is HPS' very tight cooperation with experienced European SME as well as with the universities and institutes of the German space agency DLR. 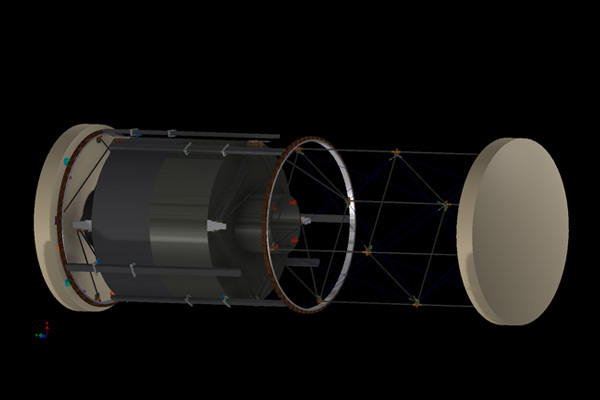 As flagship project, HPS is leading a consortium of 15 partners developing a 6 m proto-flight model (PFM) of a large deployable reflector subsystem (reflector, arm, HDRMs), called LEA (Large European Antenna).